I make part of my living writing and self-publishing books, and Agrarian Nation was originally going to be another book. Then I changed my mind. By the time of my mind change, the Foreword and Introduction to the book were written. The Foreword tells the story of how this book web site came to be and why I am publishing it. The Introduction gives you some very important historical perspective for the years 1825 to 1900, which are the primary focus of this Agrarian Nation historical journey. What follows is the slightly edited Foreword. At the end of this page you will find a link to the Introduction. The first almanac of my collection, an 1850 edition of Robert Thomas's Old Farmer's Almanac, looks much like the almanac in this picture. It was curiosity that led me to the internet listing where, for only four dollars, I might buy a 161-year-old copy of Robert Thomas’s Old Farmer’s Almanac. On a whim, I placed the bid and won it. The slim, fragile, flyspecked relic was in my mailbox a few days later. I settled into a comfortable recliner, opened the booklet, and found myself in another place and time. America was only seventy-four years old in 1850. There were thirty states in the Union. Zachary Taylor was the president. Legal tender was gold and silver coin. Paper money was not to be trusted (this is evinced by one page that lists by name ninety-two “Worthless and Uncurrent Bank Notes in New England”). According to the almanac, America had a national population of twenty-four million people in 1850, and “Agriculture represents eighty percent of our whole population.” In other words, America was an agrarian nation. Small family farmsteads dotted the rural countryside in mid nineteenth century America, especially in the Northeast, where my old almanac originated. Farms of that era were diversified, largely self-reliant, and surprisingly productive. The labor-intensive work of farming was performed by men and their wives, their children, horses, and oxen. Families were typically large and close-knit (big families were an economic asset). Communities were close knit too. Rural people of that time and place shared common work, interests, and values. Their religious faith was almost exclusively Christian, and it was central to their way of life. It united them as nothing else can. Yearly almanacs like the one I bought were as common as the farmers who purchased them. They were a fixture in every home. It was customary for the farmer to punch a hole in the top corner of his almanac and thread a loop of string through it. The book would then be hung in a convenient location for frequent reference. True to custom, my 1850 almanac was equipped with a yellowed loop of braided linen thread. People would consult their almanac like a calendar (there was no such thing as our common wall calendar in 1850), keeping track of important days, like “Fasts & Feasts,” of which there were eighteen different ones in 1850. The almanac’s listing of each day’s sunrise and sunset times, phases of the moon and, of course, the weather prognostications, were important to farm families whose lives were dependent on the land, the seasons, and the elements. Most almanacs of the period also contained short poems, anecdotes, helpful admonitions and instructive essays, all geared to the rural readership. My old almanac was a tangible remnant of a bygone era. It spoke to me from generations past, and I was smitten. I wanted to read more, to know more, and to understand more about America’s agrarian culture as reflected in the old farm almanacs. That first almanac was like a spark that ignited a flame in me. Thus it was that I began to collect old, obscure New England farm almanacs, mostly from the 1800s. I have spent more money than I care to admit in this pursuit and now have a considerable collection of the tattered volumes. A few of the earliest ones are in pieces, with the print so faded that it is barely legible. Each almanac is, to my way of thinking, a historical gem. Many old farm almanacs from the nineteenth century can be purchased for $5 to $10 at internet auctions. Almanacs prior to 1850 are rarer than after, and command higher prices. The more obscure and older almanacs can sell for hundreds of dollars and are, therefore, out of my league. I have, however, occasionally strayed beyond my budget. In one case I paid $35 for an 1825 edition of a Maine Farmer’s Almanac. The idea of owning a 186-year-old almanac for that price was hard to resist. Some founders of the Republic yet lived in 1825. Notable among them was Thomas Jefferson, author of The Declaration of Independence, third president of the United States, and a man passionate about agriculture. It was Jefferson who, with the shadow of industrialism looming over America, advocated that the country should resist and deliberately endeavor to maintain its healthy agrarian culture. Jefferson’s vision of an agrarian America could not withstand the relentless industrial impulse. Nevertheless, the nation would remain largely agrarian for the rest of the 1800s. Today, industrialism has so radically reshaped our way of life that agrarian America seems like ancient history. Actually, in a very real sense it was like ancient history. That’s because all ancient civilizations were fundamentally agrarian. The industrial and technological world we now live in is a complete historical aberration. I never gave much thought to the aberration of our industrial age in the timeline of history until I happened upon a remarkable old book (published in 1952) titled, The Great Frontier . The book’s author, Walter Prescott Webb, was a history professor at the University of Texas, and a man of some renown. In his book, professor Webb explains that our advanced modern civilization was birthed with the discovery of Western Hemisphere lands (primarily America) by Columbus in 1498. This vast new unsettled land (which he called The Great Frontier), with its good soil and virgin forests, contained such an incredible store of natural wealth that it soon lifted medieval Europe out of static poverty, and resulted in a centuries-long worldwide boom. The incredible prosperity from so many readily available natural resources facilitated the rise of industrialism which, in turn led to the unprecedented standards of living we have today. However, Webb’s “boom hypothesis of modern history” further explains that once the newly-discovered frontier lands were settled and the natural resource wealth was tapped, the boom began to decline. Professor Webb pointed to the Oklahoma Land Rush of 1893 as the peak of the boom. Unless we could find another continent to colonize and extract natural resources from, Webb believed that the standard of living in the industrialized nations would inevitably decline. In other words, Webb saw that our highly-industrialized civilization was not sustainable. Another big-picture thinker (and contemporary of Professor Webb) was Shell Oil Company researcher and geophysicist M. King Hubbert, who developed a theory of “peak oil.” Hubbert calculated that the oil fields of the world were not sufficient to sustain future industrial demand. Hubbert’s theory was largely dismissed until the energy crisis of the 1970s when it was more clearly understood that America’s domestic oil production had, indeed, peaked, just as Hubbert said it would. Our nation was no longer self sufficient when it came to meeting energy demands. The same peak theory applies to worldwide crude oil production as well as to the production of all nonrenewable natural resources. Without a sufficient supply of affordable oil, our complex, interconnected civilization can not continue to operate and expand as it always has. Here in the beginning years of the 21st century there is ample evidence to suggest that Webb and Hubbert were onto something. Energy resources, once plentiful and inexpensive, are becoming increasingly scarce and costly. Theories are becoming realities. If fossil fuels truly are not sufficient to sustain our modern dependencies, what will life be like? Well, think 1850. I’m not suggesting that we are going to go back to life just like it was. But I can imagine a postindustrial America (perhaps by 2050?) that has, of necessity, rediscovered and reapplied the most practical and sustainable virtues of its pre-industrial past. When these virtues are blended with the most practical and sustainable of industrial-era understandings, we will have ourselves a neo-agrarian era. I like to think this new era will be characterized by much more decentralized government than we now have, and more localized economies. Small, vibrant family farms and self-reliant homesteads will once again populate the countryside. Expanses of useless lawns will be planted to gardens. The soil will once again be cherished and wisely husbanded, using organic practices to bring forth an abundance. Every home will have a flock of chickens and many will sport their own milch cow. Orchards and berry patches will be planted and carefully tended. 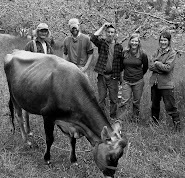 Life will once again engage with the seasons, revolve around the production of food, and involve close communities of like-minded people working together, helping each other as needed. Larders will be filled. Simplicity, economy, and self-reliance will be pursued with vigor. Jefferson’s vision will be embraced with newfound respect. Call me a dreamer but such things describe an agrarian culture much as it once was in this nation. And that which was could well be again. Which brings me full circle, back to the old farm almanacs. As my collection of these largely-forgotten little volumes grew, it became evident to me that they were packed with a tremendous amount of advice that modern, agrarian-minded people ( the serious gardeners and small-scale, sustainable farmers among us) would find interesting, inspiring, and even useful. Beyond such practical advice, I discovered that the almanac writers encouraged their rural readers to some high moral ideals. Themes of responsibility, civility, piety, and economy— concepts so contrary to the industrial spirit, yet so necessary for sustainable renewal—are infused into the old writings. They are part and parcel of “husbandry” as it was once understood, and the thought of such husbandry rustled through my consciousness like an unexpected zephyr on a sultry summer day. It occurred to me that we could learn a thing or two from our elders. And so it is that I have resurrected a portion of the old writings, both practical and moral, here in this book. I do so with respect for the past, wisdom for the present, and hope for the future. Agrarian Nation, with it’s many excerpts of old agricultural writings (primarily from farm almanacs), contains a lot of old agrarian advice, much of which is still wise and useful. But it is also a close study of the culture of rural New England just prior to the introduction of electricity and gasoline-powered engines. The years between 1825 and 1900 were full of remarkable innovations and revolutionary transitions. 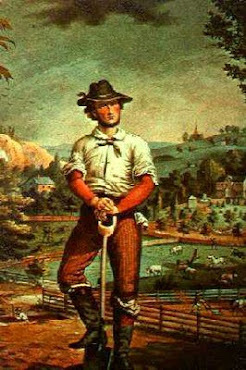 In order to best understand the many Agrarian Nation excerpts posted here it is absolutely necessary that you begin your journey with some 19th Century historical perspective. That is exactly what you will get from these introductory comments. The farm families who originally read the old almanacs were “off-grid” before there was a grid to be on. Country roads of that era (none of which had “blacktop” pavement) were lined with trees, not utility poles strung together with endless miles of wire. The people did not, therefore, have electric lights, water pumps, washing machines, refrigerators, space heaters, grain grinders, vacuum milking systems, or so many other appliances and tools that are common to us today. It is worth noting that electricity was first commercially employed in 1882 by The Edison Illuminating Company to power electric light bulbs in New York City’s financial district. Nascent electrical grids were soon established in several urban centers of the nation. But it would be all the way into the mid-1930s, before the U.S. government’s Rural Electrification Program subsidized the extension of a nationwide power grid to so many outlying farms and homesteads of America. The internal combustion engine (another tool of modern necessity that depends on a grid-like supply network) was unknown on American farms until the very late 1800s. It was then that simple, one-cylinder “hit-and-miss” engines were introduced into agriculture. Fueled with gasoline or kerosene, the newfangled engines had large, heavy flywheels and a spinning pulley that transmitted power (by way of a wide, flat belt) to drive a variety of different farm machines. One such machine that I find most fascinating was the drag saw, a powered crosscut saw blade that could cut felled trees of enormous diameter into firewood-length chunks. No longer were the muscles of men required for this physically demanding work. Such a tool was a boon to people who heated their homes and cooked their food with wood, as most farmers of that time and place did (lightweight, portable chain saws like we know today did not come into common usage until the early 1960s). After hit-and-miss engines came the automobile. The first mass-produced (and, therefore, affordable) automobile in America was Henry Ford’s Model T, which started rolling off the assembly line in 1908. Then, in 1917, Ford came out with the first mass-produced farm tractor, the Fordson. By the middle to late 1920s, farm tractors were common in many sections of rural America. Unlike horses, tractors did not need to be fed and cared for when not working. A tractor could also get more work done in a day than a team of horses. Draft-power, including mules and even oxen, would still be used on small New England farms well into the first half of the 20th century, but animals were no match for the demands of an emerging new way of farming. Thus it was that prior to 1900, literal horse power dominated, and after 1900 it began to declined. Compared to today, farming and farm life was primitive in the years 1825 to 1900. Yet, it so happens that the 19th century was an era of great technological and agricultural progress. A proliferation of labor-saving machines were invented. Primary among them were various incarnations of horse drawn grain reapers and hay making equipment. In 1825, farmers harvested fields of ripe hay and mature grain by hand, swinging a scythe or sickle, just as had been done by farmers for centuries before them. Then, around 1844 came the invention of horse-drawn mowing machines that could cut wide swaths of hay with minimal human effort. Horse-drawn reapers did the same with fields of grain. Continual improvements through the 1800s led to reapers that not only cut grain, but automatically string-tied it into sheaves, which would then be taken to a threshing machine that mechanically separated the grain from the stalks. No longer would farmers need to hand-bundle and hand-tie the sheaves, then hand-flail the crop to get a harvest. That machines made farming easier and more productive can be seen in the following statistic: In 1825, it took 250 to 300 man-hours of labor to produce 100 bushels of wheat, but by the 1890s, with improved machinery for plowing, planting, and harvesting, 100 bushels of wheat were being produced with only 40 to 50 man-hours of labor. Such advances in machinery made it possible for northern states to increase grain production during the Civil War years (1861-1865) even though the war effort siphoned off a significant number of northern farm workers. People in rural New England of the nineteenth century did not have flush toilets. Chamber pots and privies sufficed. Many houses had running water from a spring on higher land, the water flowing by gravity through a pipe down to the farm house. Hand-dug water wells, topped with a long-handled pitcher pump were also usually outdoors, not far from the kitchen. Some homes had a pitcher pump right at the kitchen sink. A well-outfitted farm had a springhouse near the barn with continually flowing water for cooling containers of milk. Many homes in the early 1800s utilized a fireplace for the dual purpose of cooking and heating. Then wood stoves became popular. Wood cook stoves were often outfitted with a water tank that held a ready supply of hot water. The farm houses, many of them large, had little in the way of insulation and required a lot of wood to keep them warm during the cold New England winters. Late in the 1800s coal became popular for heating and the first coal-fired home furnaces were introduced. The earliest furnaces for central heating simply radiated heat, which flowed by convection into the upper floors. Notably absent from the homes and farms of those days was a product so ubiquitous today, yet completely unheard of to the old farmers.... plastic. Imagine a world without plastic! It once existed and, in the span of recorded history, it wasn't really all that long ago. Natural materials, like wood, tin and iron, or plant and animal fibers, were applied to every need, and landfills were not necessary. For the first half of the 1800s, not one single New England farm used synthetic chemical pesticides, and all fertilizers were naturally-occuring amendments. In other words, the old farmers were “organic” farmers. They were organic before organic was cool. They were organic before the term was even coined—before there was any need for it. Lacking industrial solutions to farm fertility, the old farmers focused heavily on economy of manures. In the nomenclature of the day, “manure” was not just animal waste, it was any material that could be used to increase the fertility of the land. As you will learn from this web site, no subject dominates the old farm almanac writings more than the subject of manure. It would appear that the most successful of New England farmers back then were fanatical about economizing and utilizing manure in all its forms. However, as the century progressed, scientists were learning more about the fertility requirements of different crops. To supply those requirements, new sources of “manure” were mined and imported from faraway places, or synthesized in factories. A new word—fertilizer—entered into the common language of New England farmers, as a whole new industry arose to supply the fertilizer needs of the nation. Meanwhile, as new insect species appeared to ravage the farm crops of New England, farmers were introduced to potent killing chemicals. Paris green, a poison originally used to kill rats in the sewer system of Paris, France, proved very effective on bugs too. It was said that a single molecule of Pairs green was sufficient to kill a Colorado Potato Beetle. To their credit, some people of that day, including the editor of the Maine Farmer’s Almanac, expressed concern about the safety of such poisons. In order to afford so many amazing and wonderful new farm machines, fertilizers, and home conveniences that came out in the 1800s, rural folks needed much more money than they had been used to getting by with. After all, fancy new reapers and mowing machines were considerably more expensive than a scythe or sickle. The problem of how to afford all the new products was “solved” by equipment dealers and merchants extending easy credit. The practice of “buy now, pay later” became much more common, and farmers found themselves going into debt like never before. It was contrary to the ingrained frugality of the typical farmer of that day to assume so much debt. But the new ways of farming were certainly faster and easier. The hope and expectation of greater profits was a powerful inducement to not only change how one farmed, but to break down long-standing cultural objections to indebtedness. In order to pay off the increasing costs of farming, it was necessary to farm more land or raise more animals. So began a cycle of debt, and the necessity of farming on a larger scale to support that debt. It is a cycle that continues to this day. Early in the 1800s, farming was not so much a business as it was a way of life. Subsistence farming, as it is called today, focused on hard work and careful management of the land in order to provide the food, clothing, shelter and heating needs of the family. After that, there would be a cash crop or some home industry for money or trade. It was not a meager, grubbing subsistence that the farmers of early 1800s New England experienced; theirs was a subsistence of plenty, though not in the monetary sense that we moderns now think in. By the end of the century, farming was focused more on increased production with the goal of making more money. Agriculture became a science. Agricultural schools came into existence. As one farm almanac writer opined in the mid 1800’s, the farm was becoming more like a factory. The industrialization of farming was well underway and modern farmers took their new role as businessmen seriously. Subsistence farming took a back seat to profit farming, and more once-independent farmers started buying their food from the grocer. It was a significant transformation in agriculture. Nevertheless, it should be made clear that this industrialization of agriculture was slower to take hold in New England than it was on the larger Great Plains farms of the west. Small towns, small farms, and rural crossroads communities were still the norm in rural New England. The old fabric of agrarian culture was still firm and strong, though it was surely beginning to fray at the edges as the 19th century wore on and more modern farming practices were adopted. The roadways of early 19th century America (the few that existed) were of poor quality and not conducive to mass transport of goods. 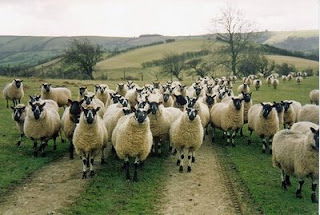 It was rare for common farm folk to travel more than a few miles from their homes. Therefore, inland sections of the northeast were hindered in their ability to participate in trade markets beyond their parochial limitations. Then came the Erie Canal, a manmade 363 mile waterway connecting the Great Lakes to the Atlantic ocean. The Erie Canal was completed in 1825. More canals were built up until 1840. This network of canals allowed a tremendous quantity of agricultural products to be shipped to the New York port, and from there to anywhere in the world on ocean ships. Before long canal transport declined as railways were established. In 1840, there were 3,000 miles of railroad track in America. Ten years later there were 30,000 miles of track. In 1869 the first transcontinental railroad was completed. By 1900 there were five railroad lines connecting the east and west coast of the nation. In addition to a vast network of rail transport throughout the nation, the 19th century brought revolutionary changes to ocean shipping. Clipper ships were replaced with larger, faster, steam ships. These changes in transportation had a profound impact on American agriculture. More competition from faraway markets brought farm prices down in New England. The business of farming suffered. This situation is lamented in some of the old Almanac writings. The telephone was invented in 1876 and buy 1884 there were long distance phone lines connecting the major cities in the northeast. But farm families did not have phones. Long distance communication was, however, possible by means of the telegraph for much of the century. The first long-distance telegraph system was run from Washington to Baltimore, a distance of forty miles, in 1838. Telegraph messages were transmitted by dot-and-dash Morse code over telegraph lines, which typically followed the railroads. So, as the railroad system expanded, so did the telegraph system. If someone wanted to send a telegraph message they went to the telegraph office which was at the railroad station. Radio and television were not around in the 1800s, but numerous newspapers were published throughout the century. Most of them were weekly publications and many were geared for farmers. In 1825 there were less than 100 magazines being published in America. By 1850 there were more than 600. The first really successful American magazine was the Saturday Evening Post. Print advertising in the 1800s became more sophisticated and extensive as the century progressed. Early almanacs had virtually no advertising. Prior to 1850, there was some simple ads for books. In the 1860s there is a noticeable increase in ads for such things as worm lozenges and other patent medicines. By the 1870s all kinds of products were being advertised on the outside pages of the almanacs, like organs, sewing machines, chocolate, clothing, and insurance, to name a few. It’s interesting to note that in the early part of the 1800s, when people bought items at the local mercantile, all the products were generic; there were no brands of coffee or sugar or flour. This changed in 1879 with the introduction of Ivory Soap. Soon thereafter came many brands, some of which are still around. Quaker Oats, Kellogg’s Corn Flakes, and Lipton Tea are examples. A popular branded product in the farm almanacs of the 1880s is Arm & Hammer Saleratus, which we now know as baking soda. Most of my collection consists of annual copies of Robert Bailey Thomas’s Old Farmer’s Almanac. Thomas was a resident of Massachusetts and published his first almanac in 1793. He died in 1846 at 80 years of age. The almanac that still bears his name continues to be published, though in a format more appealing to a population in which far more than eighty percent of the population are not involved in agriculture. Many of the almanacs in my collection are of the Maine Farmer’s Almanac, first published in 1818 (two years before Maine was sectioned off from Massachusetts and made a state—the 23rd in the Union). The editor, Daniel Robinson, was a sixth-generation direct descendent of pastor John Robinson, spiritual leader of the Mayflower Pilgrims. Robinson’s musings in the almanac are often of a more philosophical nature. Also, the Maine almanacs contain some of the most mind-boggling mathematical puzzles I’ve ever seen. One need only review some of the solutions to previous year’s puzzles to see that Maine farmers of the 1800s may have lived simply but they were certainly not ignorant. 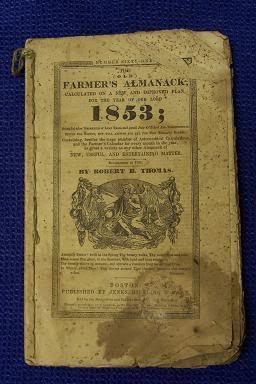 Daniel Robinson died in 1866 at 90 years of age, but his almanac was published into the 1960s. The balance of almanac entries here are of Leavitt’s Old Farmer’s Almanac. Dudley Leavitt haled from new Hampshire, published his first almanac in 1797, and died in 1851 at 90 years of age. Leavitt’s Almanacs were published into the 1930s. A popular part of the old farm almanacs was the Farmer’s Calendar. Almanac writers used a half-page each month to express a variety of sentiments. Occasionally they would expound upon some obscure fact like, for instance, that the earth is traveling through space at 1,100 miles per minute. More often, though, the writers would encourage farmers to diligence in their calling as tillers of the soil, with suggestions and reminders about what they should be doing each month. The calendar essays are also imbued with what I would call an agrarian ethos. It comes through in so many commentaries espousing such down-to-earth virtues as temperance, thankfulness, generosity, kindness (to animals as well as family and neighbors) and economy—especially economy. The writers often waxed poetic when celebrating the nobility and beauty found in the work of the husbandman, and woven through the years is a thread of opinionated social commentary. The Farmer’s Calendar essays are my favorite part of the old almanacs, because many of them (the early ones in particular) reveal a humanity that does not come through elsewhere. Such essays have a lively writing style that is, as far as I know, unique to the almanacs. Agrarian Nation provides you with a partial but savory selection of these virtually unknown Farmer’s Calendar writings. You will discover that the old agrarians used words we moderns seldom encounter in the 21st century. Words like rowen, snath, and numps. With that in mind, you will find some of these words highlighted in the text (just like in the previous sentence). If you click on the word, you will be taken to a definition provided by an online edition of Webster's 1828 dictionary. I hope that reading and understanding the body of old writings posted to this web site is an enjoyable and instructive adventure for you. In the end, I also hope that you will come to the realization (as I did) that farming and homesteading before 1900 was hard work, but it was not a brutal existence. Life in rural communities, lived close to nature and in harmony with the cycle of the seasons was, in many ways, fuller and richer than the cubicle and couch potato lifestyle that characterizes much of our modern existence, or so it seems to me. That’s me in the spring of 2011 in the woods behind my house. I bought that old shoulder yoke as a birthday gift to myself. 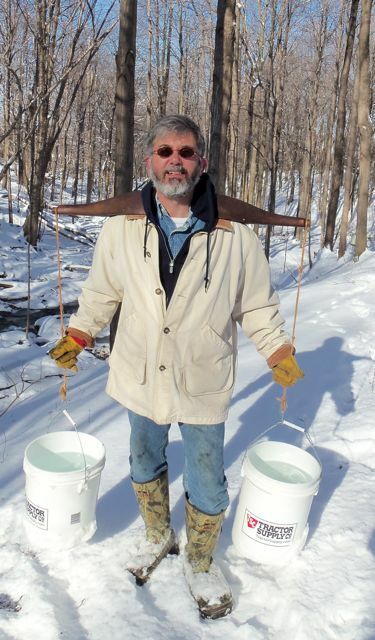 It’s a downright handy tool for hauling buckets of maple sap to our small backyard evaporator. My family taps a couple dozen trees each spring and boils down a few gallons of maple syrup. I, Herrick Kimball, the editor of Agrarian Nation live on a 1.5 acre homestead in the rural Finger Lakes region of upstate New York. My wife, Marlene, and I have been married for 30 years and have three pretty-much-grown-up sons. I started writing magazine articles back in 1992 while I was working as a self-employed carpenter and home remodeler. After numerous magazine articles I wrote three books for The Taunton Press ( one is still in print). In 1999, I came up with my own plan for making a simple chicken plucking machine. It worked so doggone good that I named it the Whizbang Chicken Plucker. A couple years later I self-published the book, “Anybody Can Build A Tub-Style Mechanical Chicken Plucker .” That book prompted me to start a part-time home business supplying chicken plucker parts to people who make their own Whizbang chicken plucker. Is that amazing, or what!? My love of agrarianism and the old agricultural writings prompted me to start collecting pre-1900 farm almanacs. After a few years I decided to publish a book of excerpts from these mostly forgotten old annuals and title the book, Agrarian Nation. But, instead, I opted to make the book available here on the internet for free in the form of this web site. You can read the story of my almanac collection and my Foreword to the book-that-became-this-web-site At This Link. After the plucker, I went on to develop plans for the Whizbang Chicken Scalder, the Whizbang Garden Cart, the Whizbang Cider Press and Apple Grinder, and the Planet Whizbang wheel hoe. 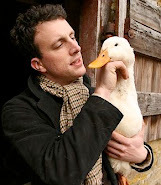 In June of 2005 I read about blogging and started my own blog titled The Deliberate Agrarian: One Man’s Ruminations About Faith, Family & Livin’ The Good Life. I have posted hundreds of essays to that blog and it has been a lot of fun. Several essays from my first year of blogging were published in the book, Writings of a Deliberate Agrarian . 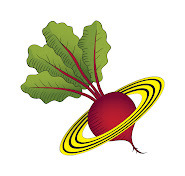 These days I publish a single, end-of-the-month “blogazine” at The Deliberate Agrarian. Someday I hope to make enough income from my books and project parts business to buy a larger section of land and work at home full time. That’s my dream. Until then, in addition to writing and selling plucker parts, I work part time as a supervisor in a furniture factory. And that’s my life. 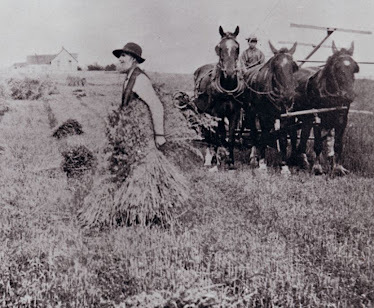 If you are a farmer, gardener, or modern homesteader, and you have an interest in 19th century rural culture, I hope you will make it a habit to stop by here every Monday and Friday morning to read a new excerpt from the old agrarian writings. And if you appreciate the information and my work here, please consider making a small donation to the effort. It's true, and I can prove it. are no longer being requested.